I was a mess. My emotions were a wreck, my life in shambles, and I had no direction. What plans I thought I had made were dependent upon another, and well... that person turned out to be undependable. I was a puddle of tears, sitting on the floor, rocking myself in my childhood ways. Back and forth, back and forth, back and forth. If I'd been facing the wall, I'm sure my head would of been knocking up against it. The rhythm was steady where my nerves were not. I needed soothing. Comforting. I needed something that I didn't have, and didn't know where to get it. I was desperate for something new. I cried out to an unknown god, "I can not live like this. IF there is a god, IF you are there... please reveal yourself to me!" Slowly, I felt a warmth encompass me, envelop me, cover me. What I now know as the Holy Spirit was making himself known to me. 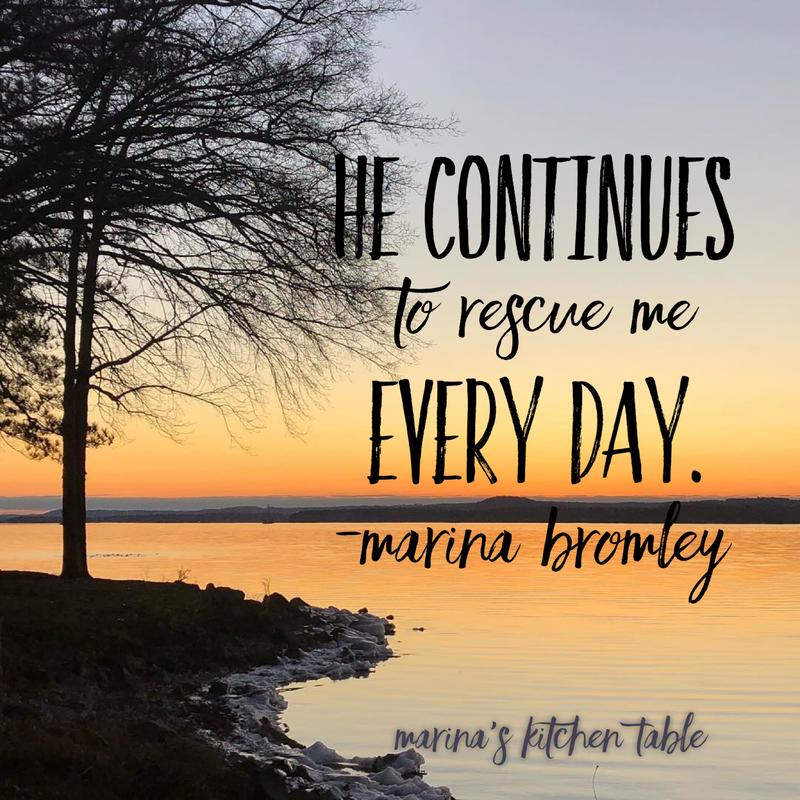 He had come to rescue me. Sometimes healing comes all at once, sometimes it comes in phases and steps. That night was my first step. I was rescued. 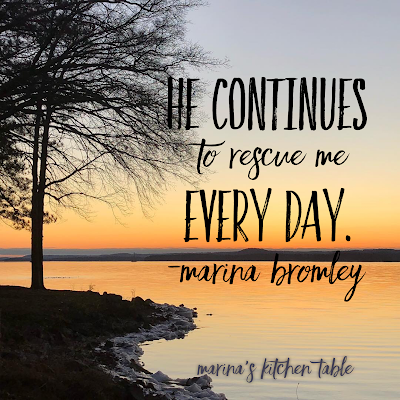 He continues to rescue me every day.